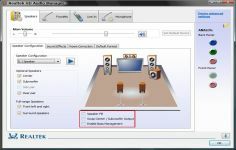 Realtek High Definition Audio is a must for audio and multimedia functions of a computer. Realtek High Definition Audio Driver is a Freeware software in Audio and Multimedia category developed by REALTEK Semiconductor Corp. The driver is Direct Sound 3D compatible and provides multibands of software equalizer and tool. It also support Microphone Acoustic Echo Cancellation (AEC), Noise Suppression (NS), and Beam and forming technology for voice application. 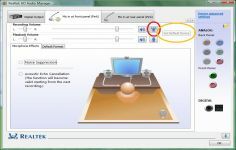 Realtek High Definition Audio Driver requires one of the Windows XP / Vista / Server 2012 2008/7/8/Server operating systems running on the computer. Realtek High Definition Audio Driver for Windows 2000/XP is compatible with the following audio chipsets: Realtek ALC292, ALC290, ALC286, ALC284, ALC283, ALC282, ALC280, ALC276, ALC275, ALC273, ALC272, ALC270, ALC269, ALC268, ALC267, ALC262, ALC260, ALC233, ALC231, ALC221, ALC383, ALC680, ALC676, ALC672, ALC671, ALC670, ALC668, ALC665, ALC663, ALC662, ALC660, ALC880, ALC882, ALC883, ALC885, ALC886, ALC887, ALC888, ALC889, ALC892, ALC899, ALC861VC, ALC861VD, ALC900, ALC1200.